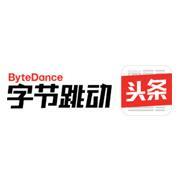 Bytedance is a technology company operating a range of content platforms that encourage and inspire creation and communication. Dedicated to building global platforms of creation and communication, Bytedance’s platforms enable people to discover and create a world of content powered by technology. We inform, educate, entertain and inspire people across languages, cultures and geographies. Available in over 150 markets and 75 languages, our platforms aim to help people discover the world and empower everyone to be a creator. In 2016, Bytedance established an AI Lab which builds on the company's vast and complex datasets to develop state-of-the-art innovations in artificial intelligence. For more information, please visit: www.bytedance.com.